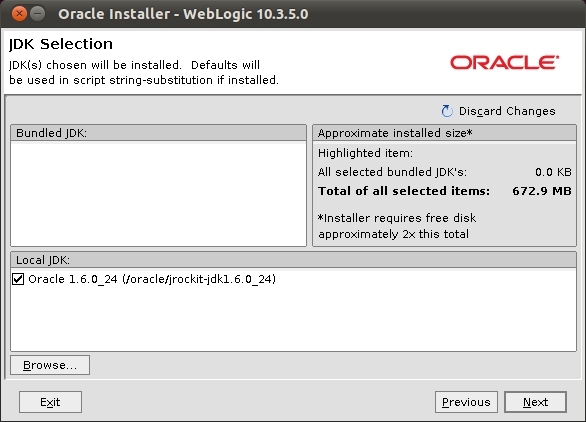 Installing WebLogic Server on Ubuntu and JRockit 64 bits. 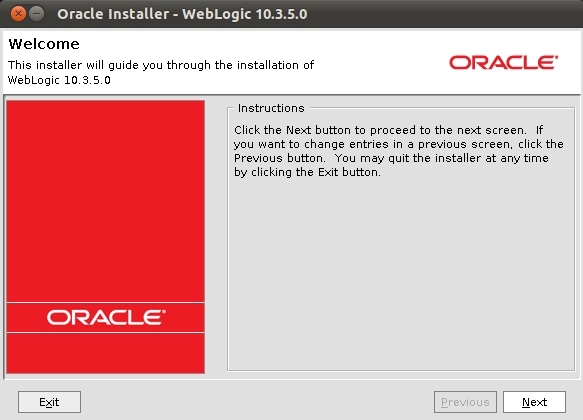 This installation will later be used to install Oracle Service Bus. 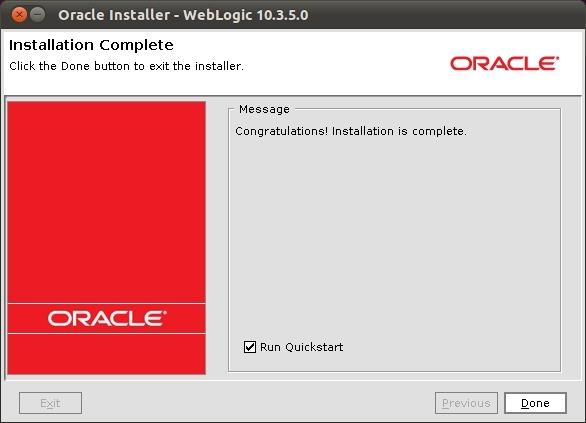 Download the WebLogic Server installation files from OTN or E-Delivery. 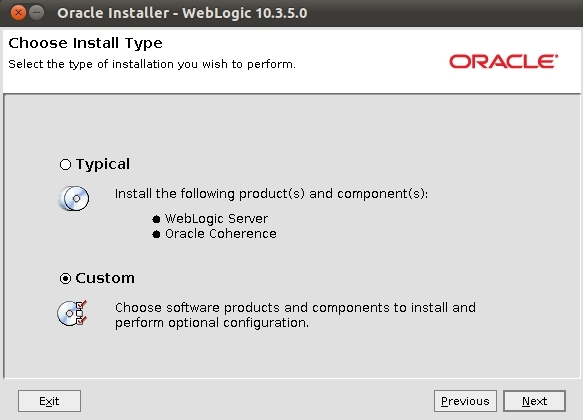 If you are installing WebLogic Server on a 64-bit platform using a .jar installation program use the downloaded wlsversionnumber_generic.jar . 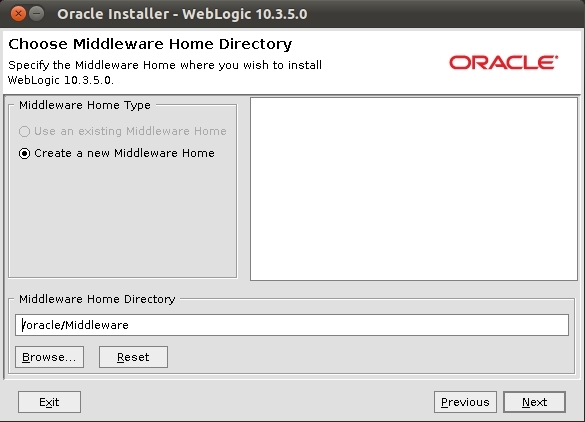 Start the installation using the following command. 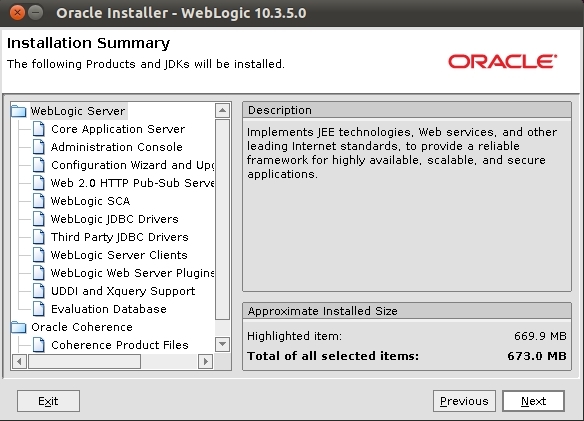 Include the -d64 flag in the installation command when using a 32/64-bit hybrid JDK. 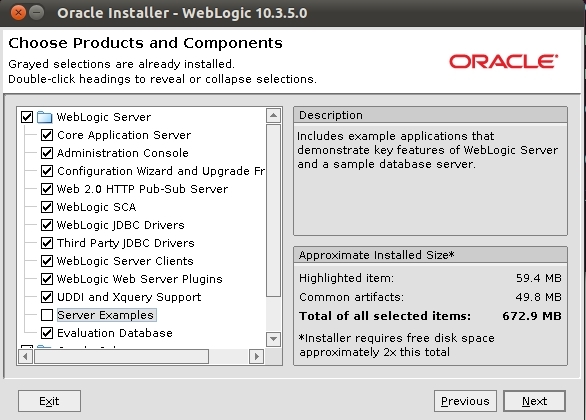 This entry was posted in Oracle, Service Bus, WLS and tagged Install, JDK, JRockit, WebLogic, WLS on 2011/06/08 by PeterPaul. How did you solve starting the nodemanager? 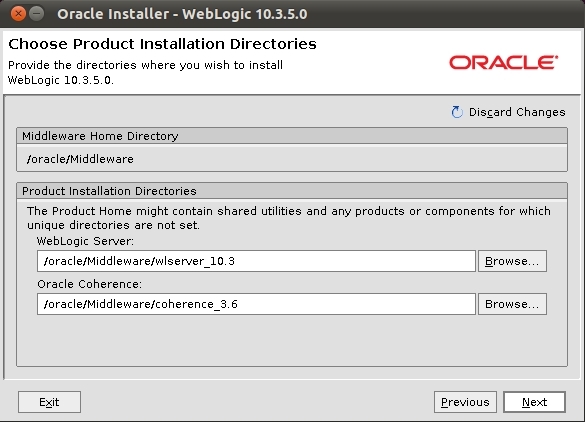 I installed this combination a few weeks ago, but my nodemanager fails to start. 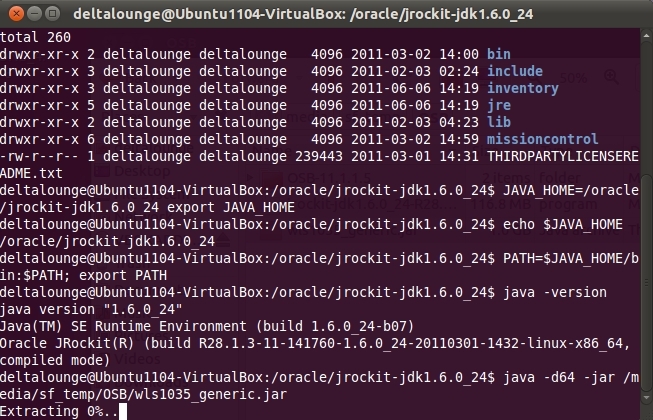 Error in loading native library for node manager. 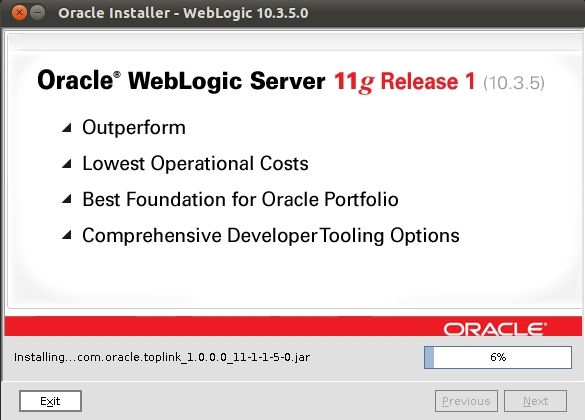 Disable the native libraries, decrease the performance dramatically. 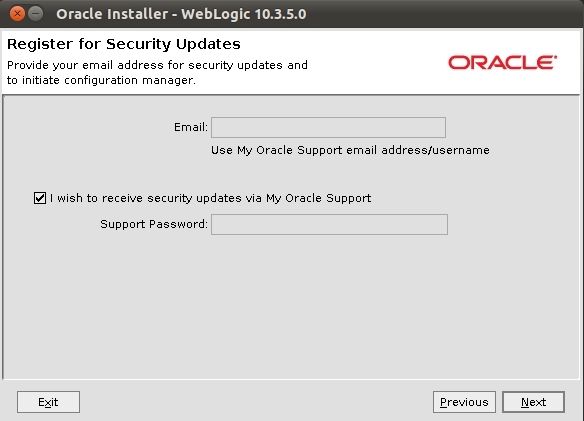 Hi Marc, Sorry for the late reply. To be honest I didn’t solve that one yet. I’ll be looking into that later on and will keep you posted.